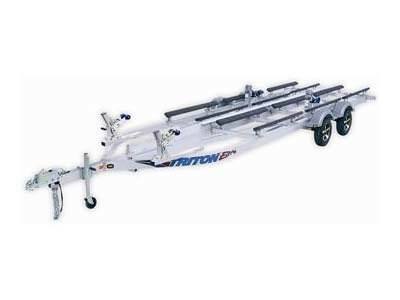 Triton's Elite WCIV is a four place tandem torsion axle aluminum trailer. It easily carries four of the largest three seater PWC's on the market. The broad amount of adjustability and quality components makes the Elite WCIV a trailer that will provide many years of worry free use. Removable rear bow posts allow for easy loading and less hassle.